This guest post is provided by Brian Cicioni of I May Roam. Mention of the 7 train elicits mixed reactions. Only 6 of the 22 stations connect to other lines and it’s the only line that serves Manhattan and Queens (it does not go out to Brooklyn). On September 13, 2015 the first new subway station of the new millennium opened on the 7 line near the Javits Center. This is very convenient for anyone arriving by boat from New Jersey. Queens is known as NYC’s most international borough. Over 1,000,000 of the more than 2,300.000 residents are said to be foreign born. If you like food, culture and some nature, you can spend an exciting day along the 7 train. On my most recent trip, I started at the new 34 St-Hudson Yards station and took the 7 train to Vernon Blvd-Jackson Av. If you prefer to arrive in Queens by boat, the East River Ferry’s northernmost terminal is just south of the park as well as westernmost Long Island Railroad stop in Queens. 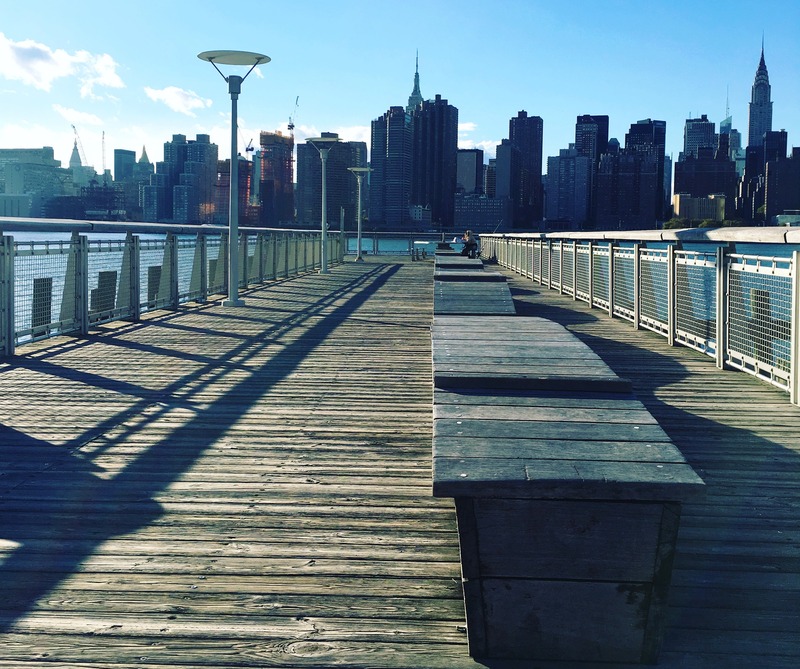 Just five minutes from Grand Central Station via the 7 train, Long Island City is home to Troma Studios (creators of the iconic Toxic Avenger) as well as Gantry Plaza State Park. New condominiums are omnipresent along the waterfront. If you want to get impressive shots of the famous “Pepsi-Cola” and “Long Island” sings, Gantry Plaza State Park is the place to head. It’s the place you see when you look at Queens from the too-often overlooked Roosevelt Island. The views of Manhattan are stunning and there are plenty of places to sit. The Ed Koch Queensboro Bridge is also off in the distance. Putting your camera down can prove to be a real challenge. Just north of the subway station along Vernon Blvd are plenty of great restaurants. The Long Island City Flea & Food market is just north of the Vernon Blvd-Jackson Av station as well. On my most recent trip, I had lunch at Testaccio. My server was from Italy and I ended up having one of the best Italian meals (I’ve been to Italy twice) of my life there. The carpaccio di manza, gnocchi alla sorrentina are amazing and part of their regular menu. If they have the mushroom risotto with truffle oil on special when you go, I would highly recommend it! Testaccio is fairly new compared to the iconic Lemon Ice King of Corona. Yes, that’s the place on the opening segment of King of Queens. Located 12 (short) blocks south of Roosevelt Ave (which the 7 train runs along in Corona) on 108th St, The Lemon Ice King of Corona is open all year round and has over 30 flavors. Small cups cost $1.50 each. They do not mix flavors, so it’s worth buying a few different small cups to sample the flavors. Flushing is next to Corona (“crown” in Italian and Spanish) and rather than walk back up to the 7 train, you can take the Q58 bus which stops just a few steps south of the Lemon Ice King. Get off at 41 Rd/Main Street and you will be near the heart of what some call the largest Chinatown in NYC. It’s certainly the largest in Queens and is different from the more famous Chinatown in Manhattan in that most of the people there are Mandarin speaking. Flushing gives you the advantage of two different transit options back to Manhattan. The 7 train ends in Flushing, but the Long Island Railroad also has a stop there. From Flushing-Main St. you can go to Penn Station with only a couple stops between. There are plenty of great Asian restaurants in Flushing, but the most impressive site I’ve seen there is the food court at the New World Mall. Although the Chinatown in Flushing is generally not as crowded as the one in Manhattan, the food court in the New World Mall is. There’s an amazing selection of Asian food there and it really did remind me of my numerous trips there. There’s bubble tea, Korean, Thai and everything in between, but I always liked Tea Twitter. I first discovered them at the Queens International Night Market and they have excellent Taiwanese fast food. I’ve had salt & pepper chicken at numerous places (including Taichung and Taipei) and theirs is as good as any. If you are in the mood for some history, the Louis Armstrong House Museum is just four blocks north of Roosevelt Ave on 107th Street. It’s amazing that a jazz legend lived in such a modest house in what is still a working class neighborhood. The only thing he did to stand out was demolish the house next door so he had a yard. Armstrong recorded his conversations and while you are on the guided tour (self-guided tours are not an option), you can listen to his attempts at comedy as well as other random conversations he recorded. When I did the tour, I asked if he died broke like many musicians of his age did and they reiterated that he was a wealthy man who just loved Corona. Impressive! If you want to eat more, Jackson Heights has great options for Latin American food. La Gran Uruguaya is a personal favorite of mine. Located just one block north of Roosevelt Ave between 85th and 86th Streets, the building is occupied by a small restaurant on one side and a bakery on the other. I prefer the skirt steak sandwich, but there are much more creative options on the menu. Vegetarians will have a difficult time, but there are seafood options. The bakery has some traditional European desserts as well as their own dulce de leche infused versions, which are the ones I recommend. If you follow my itinerary, you can eat European, Asian and Latin American food as well as visit a newly developed park and an amazing historical site in one day using one subway line. Of course you should make sure there is no construction on the 7 line, especially if you are visiting on a weekend. The subway would cost you $13.75 ($2.75 X 5 subway rides and 1 bus transfer) if you start and finish in Manhattan. If you use the East River Ferry to get to Queens, you will spend more ($6 each way) and taking the Long Island Railroad back from Flushing will cost more than the subway. Unlike the subway, the cost varies depending on when you are riding. On weekends, the City Ticket is the best option. The only time I was there, I ate at Paulie Gee’s lol. Not a real Greenpoint experience I guess. LOVE Greenpoint! 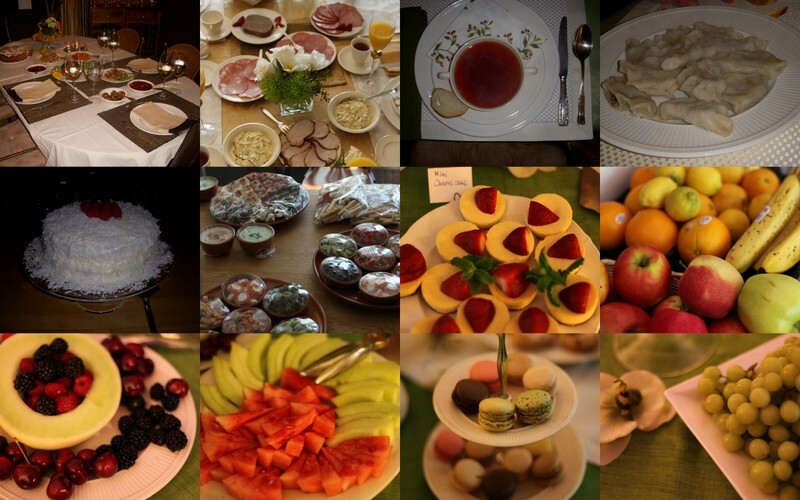 Especially since I’m half Polish, and enjoyed delicious food at Karczma and Krolewskie Jadlo. And close friends live there. Also had a great brunch at Esme! Looks great Nicolette! U planning on trying any of the places?